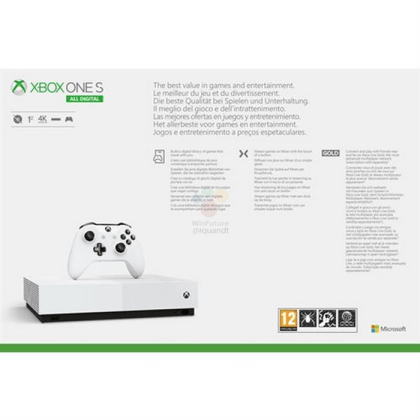 For a few months, rumors have been circulating about an all-digital Xbox One S. Now, according to a leaked image from Wario64 the rumors are not only true but the Xbox One S digital version is coming to Europe this May 7th. 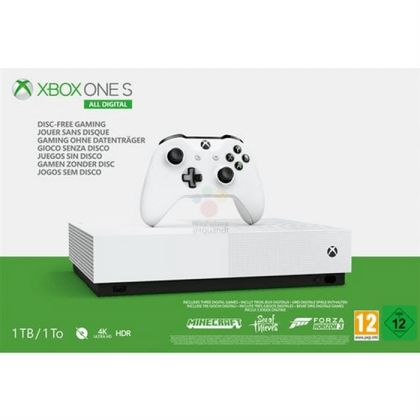 The images show an Xbox One S for 229.99 Euros or about $250.00 USD. It'll contain 1TB of storage and Minecraft, Sea of Thieves, and Forza Horizon 3 on the hard drive. Until May 7th, or earlier, we'll have to wait and see if this Xbox One digital console is real.